Single, progressive and compound dies. Drill press. Riveting and tapping. Long-run permanent tooling. One-to-One Customer support. We carry 300-500 tons of raw material. 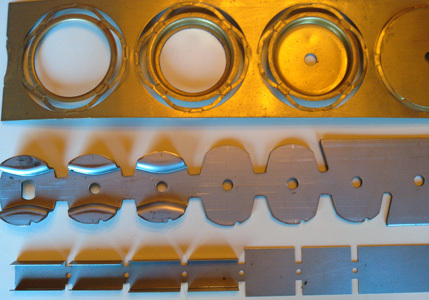 Metal Stampings. Complete Tool and Die Shop. Punch Press Capacity to 330 Tons. Fourslide and Assemblies. Clips. Quality Stampings of All Types and Sizes. Animated Manufacturing Co. is chosen by our customers because of our high quality, performance, delivery, competitive pricing, overall capabilities, pro-active customer service and financial stability. Skilled craftsman, a complete tool and die shop and a project engineer able to give fast and accurate estimates and offer special suggestions that may speed the delivery and/or add to the cost effectiveness of the job. Animated Manufacturing Co. © .